Today we see many of young & dynamic individual who wants to start business but they are bit worried about failures. 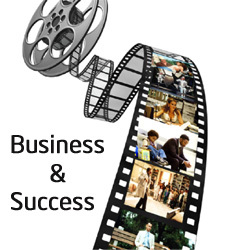 To inspire them we are herewith best bollywood movies about business and success. These movies are must watch movies for entrepreneurs. GURU perhaps best bollywood movie about business, many people claims that this movie is inspired from industrialist Dhirubhai Ambani. Lead role in this movie is played by Abhishek Bacchan. The story shows how middle-class school teacher’s son creates biggest business empire. Best Dialog of the movie is “Sapnay mat dekho, sapnay kabhi sach nahi hote.. mera baapu kehta tha..lekin maine sapna dekha.. aur kya hamara sapna sach hua?” This teach us that we should believe in our dream. Apart from this Guru Movie also teach us lesson to be futuristic and confident about your business. Corporate is another bollywood movie on theme of business. Corporate is based on the cola war that raged between two soft drink giants in the county. This movie is about how business competition can use money, media, politics and other medium for their own advantage. Movie also talks about business tactics and manipulations. This movie teach important lesson to businessman that one should avoid business war and use of media & politics against each other. Roket singh salesman of the year movie is featuring Ranbeer kapoor common middle class graduate students secures job in small company as salesman and creates good business of computer sales by making customer happy by providing good after sales service and support. This movie teaches us that money is important but customer satisfaction plays vital role in any business. 3 Idiots is movie featuring about 3 engineering student and their college life. This movie talks about excellence and success. Movie is staring bollywood perfectionist Amair Khan. This movie teach us that we should run after excellence and success will defiantly follow us. Jo Jeeta Wohi Sikandar movie is bollywood sport drama. As name indicate main message given in this movie is you will be hero if you win the game. Remember in Business also if you are successful than you are sikandar (Hero) else you are nothing. What do you say? Do share your views on above!